Apex Window Films seeks to prvoide a comprehensive selection of DIY window films and rounds out its automotoive line-up with clear paint protection film. Paint protection film is used to protect vehicle paint anywhere on the vehicle but is most often used in the front-end and hood where the vehicle is most vulnerable to damage from debris coming up from the road, falling from vehicles, or carried on the wind. The film would be used like a bra or mask would, but is clear and virtually unnoticable. An inexpensive sacrificial layer that can be removed and replaced with ease, protecting your vehicles finish. Paint protection film is also used to protect a car's finish during transit, as large sheets may be applied to the hood, doors, fenders and roof. 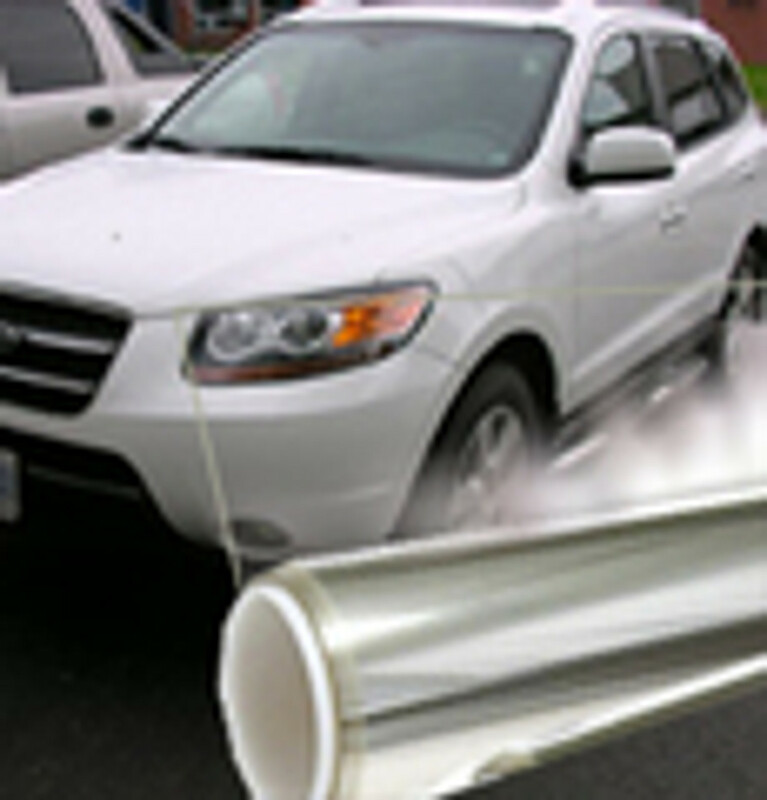 Paint Protection Film - 60"
AVAILABLE WIDTHS: 60" Clear, colorless paint protection film. Wholesale pricing when you purchase a full roll. This is a 5 year film.